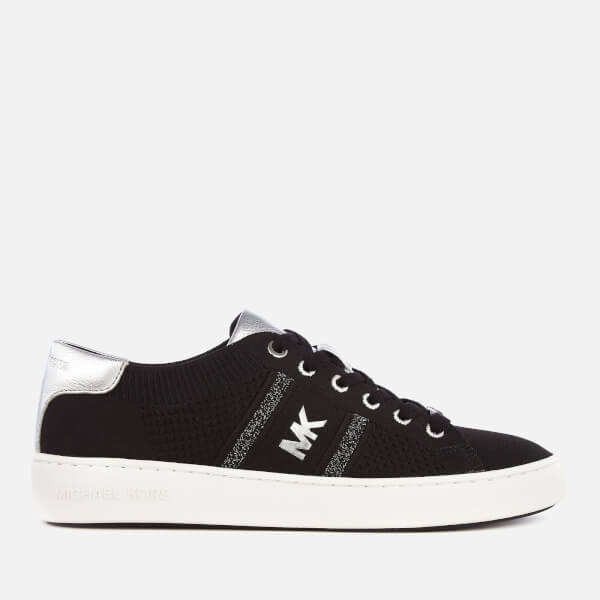 Presented in a lightweight, textured knit, the black ‘Raya’ trainers from MICHAEL MICHAEL KORS feature sporty side stripes shot through with shining thread. 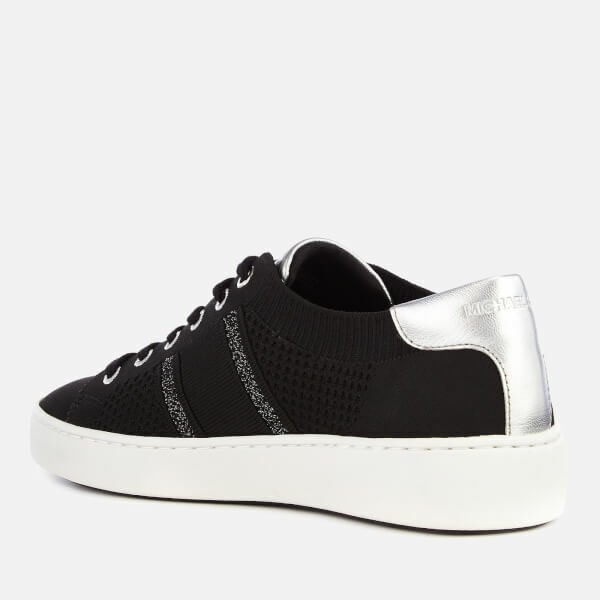 Fastening with tonal laces, the low top sneakers are detailed with a rounded toe, a ribbed cuff and metallic silver accents at the tongue and heel. 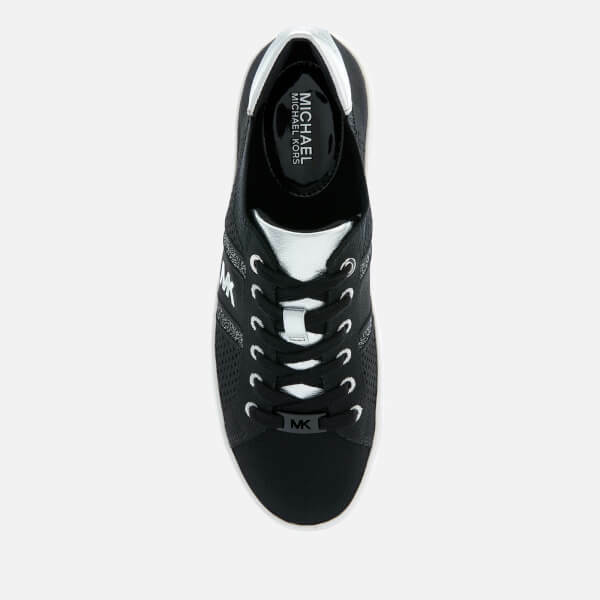 Set upon a chunky white sole and finished with branding throughout.